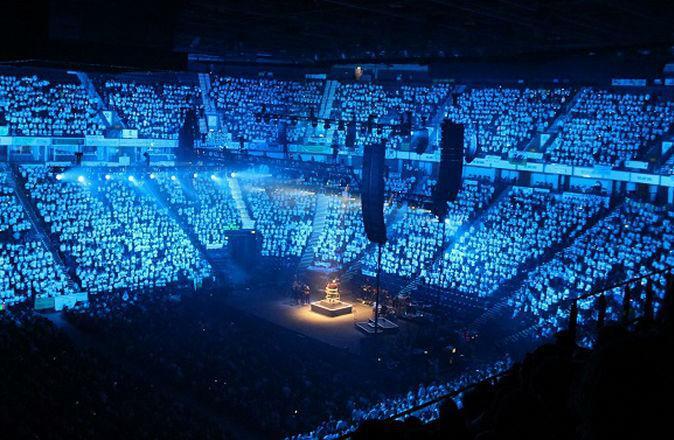 Once again our KS2 choir took to the Phones 4U Arena stage, where they joined in with thousands of other children, to be part of the Young Voices Choir. They sang their hearts out and performed dance moves to a variety of musical styles. The atmosphere was electric and the children thoroughly enjoyed the experience. I really enjoy going to choir! It’s a chance to learn how to sing, but also a great opportunity to go on some school trips, which are all very exciting. Our choir leader, Miss Lee, is always really fair and gives everybody equal opportunities to take part. My favourite trip so far has been our visit to Young Voices. This year, we are also going to be singing at the Summer fair! It’s always good to freshen your mind with some lovely tunes!